The M-216 Option P7 is the perfect on-the-go field transmitter offering directors, crew, and client reliable and superior sounding wireless program monitoring. 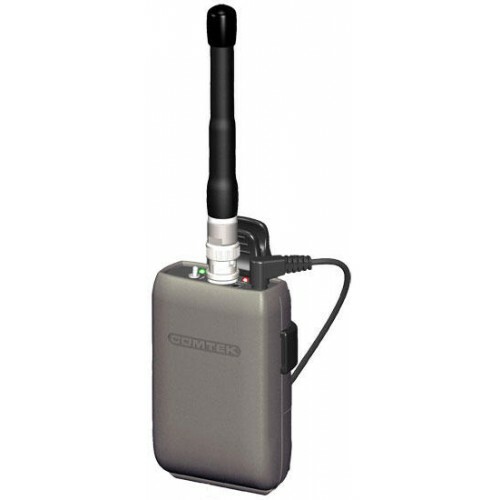 For use with the PR-216 or PR-216 Option 7 wireless receivers, this portable, battery powered transmitter is built to withstand the most demanding needs of location sound monitoring. Equipped with a flexible short whip antenna, the M-216 Option P7 offers superior RF transmission and a greater operating range. Digitally synthesized, this multi-channel transmitter tunes 57 channels in the 216-217 MHz band and offers 5-channel compatibility for multi transmitter simultaneous operation. It has an adjustable gain control and a single LED VU meter that offers a quick reference visual indication of the input level setting. Built with performance in mind, the M-216 Option P7 provides the quality and dependability required by top sound mixers! 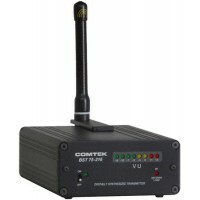 CONSUMER ALERT: Most users do not need a license to operate this wireless microphone system. 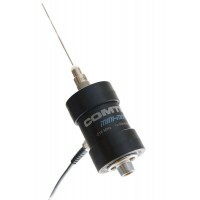 Nevertheless, operating this microphone system without a license is subject to certain restrictions: the system may not cause harmful interference; it must operate at a low power level (not in excess of 50 milliwatts); and it has no protection from interference received from any other device. Purchasers should also be aware that the FCC is currently evaluating use of wireless microphone systems, and these rules are subject to change. For more information, call the FCC at 1-888-CALL-FCC (TTY: 1-888-TELL-FCC) or visit the FCC’s wireless microphone website at www.fcc.gov/cgb/wirelessmicrophones.